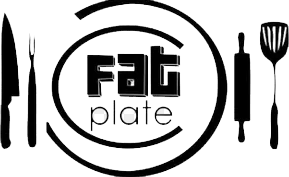 Fat Plate Cafe is a family-run eatery located on the left bank of the River Beas. The cafe is a brick & wood building constructed over an acre plot of land, surrounded by lush green lawns and its very own herb and vegetable gardens. The cafe seats 80 covers, the seating is divided between the indoor lounge, the veranda and the two level of lawns. The cafe was born in 2012, promoted by the Gurung family who share a deep passion for food. Chef-in-Charge – Anubhav graduated in culinary arts from the institute of hotel management Aurangabad. During his course, Anubhav underwent on-the-job training at the Taj mahal – Mumbai, Hyatt Regency – New Delhi and The Kitchen arts company – New Delhi. The food is the soul of the cafe. The menu is based around European and north Indian specialities. WHAT’S SO DIFFERENT ABOUT US ? Fat Plate is famous for homely food and variety of Cuisines available round the year. We prepare fresh recipes all from our own garden. All the vegetables and other ingredients used in preparation are cultivated at our own farm to ensure quality and freshness. The cafe bakes its own breads and most of the herbs and the salads are grown on the premises. Most of the ingredients are sourced locally and are bought from the farmers directly. We believe in strict hygiene when it comes to workplace, may be that is the reason we allow guests to check our our kitchen to have a look around. All natural all healthy – that’s our motto at work ! Location : Village Prini, 8Kms from Manali. Next to State Highway connecting Manali to Kullu from left side of river Beas. Open from 10am to 10Pm.